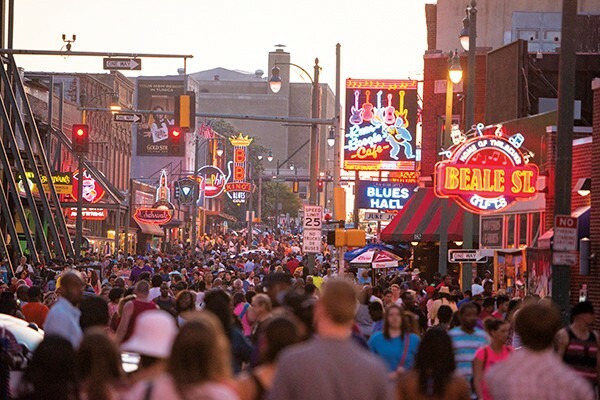 Tourism broke records in Tennessee last year and spending in Memphis topped totals from the previous two years. Tourism spending in the Volunteer State reached a record high of $20.7 billion in 2017. That figure grew 6.3 percent from 2016, according to state tourism officials and the U.S. Travel Association. Tourism spending in Memphis and Shelby County last year grew 5 percent from 2016. 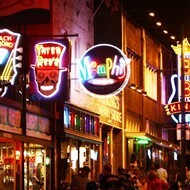 The 11.7 million people who visited here last year spent more than $3.5 billion, according to Memphis Tourism. The group says the data suggests that people are staying longer and spending more money on their trips here. 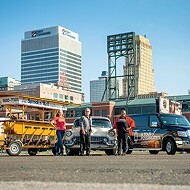 Memphis Tourism, formerly the Memphis Convention and Visitors Bureau, markets Memphis to visitors across the U.S. and the world. 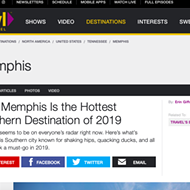 Their pitch is focused on ”a dynamic culinary scene rooted in BBQ, along with the sounds of a rich music legacy and a new Memphis beat,” according to a news release. Increased spending in tourism here meant more jobs. 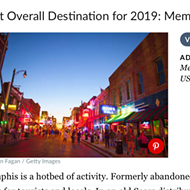 Tourism payroll in Memphis and Shelby County last year was $742 million, up $41 million from 2016, according to Memphis Tourism. Across Tennessee, tourism created 184,300 jobs last year, according to state data; the growth in job numbers this year was 3.1 percent higher than in 2016. Last year was the 12th consecutive year that tourism drew more than $1 billion into the coffers of state and local governments. State tourism officials said they sell Tennessee to visitors on its authenticity, Southern hospitality, food, history, and outdoor vistas and experiences. 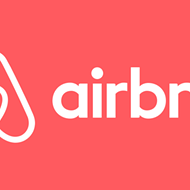 In a related note, Airbnb announced this week that in its first year of a tax agreement with the city, Memphis hosts have remitted $647,000 in home-sharing tax revenue to city coffers. Airbnb hosts pay a 3.5 percent short-term room occupancy tax and a $2-per-night assessment for the Tourism Improvement District. Memphis' agreement with Airbnb was the first of its kind in Tennessee, according to the company. That agreement started a trend, which spread to similar agreements for Knoxville, Chattanooga, and a deal for tax collection through the Tennessee Department of Revenue. From May 2016 to May 2017, 87,000 have stayed in Memphis Airbnbs. That's 67 percent more than in 2016.